Whether it’s running a business, organization or website, great communication is critical to success. The written word is by far the most common and cost effective way to communicate with the world, but NOT everybody has the knack for putting ideas, strategies, product descriptions or benefits into words. That’s why companies have a marketing and communications department, where you’ll find copywriters or communication execs whose primary job is to write and communicate. However, in an increasingly competitive world market, many companies have opted to outsource much of their writing tasks to freelancers, rather than keeping full-time staff on the payroll, and incurring the costs of medical, dental and work benefits. If you’ve just graduated from college (and looking for your first job), transiting careers, are a work at home parent, retiree or just enjoy writing and you have a flair for the written word, then working as a freelance writer may just pay some bills or even more. With the convenience of the internet, the whole world is your marketplace, so you could very well be sitting at your desk in Brisbane, Australia writing an article for a business owner in Dublin, Ireland! As a freelance writer, you may have to include proofreading and/or editing work as part of your services. Just take a look at the freelance writing jobs available on www.elance.com and other online freelance job sites, and you’ll see that freelance writing services are needed in practically every business or industry. Small Businesses : Many small businesses run on a tight budget which means business owners often have to multi-task. They’re also often too busy running the actual business or don’t have the necessary writing skills, so they rely on freelance writers for their writing work – anything from promotional material to preparing/editing their business presentations. Individuals : Professionals, executives and individuals often handle projects that involve all sorts of writing tasks, from business proposals to reports to product or event reviews. Many people also often seek help in writing formal letters, resumes or proofreading assignments. The types of one-off jobs from individuals can be as varied as the types of individuals who request them. Blogs and Websites : A fast growing segment of the freelance writing market is providing content for blogs and websites. Many people make money as affiliate marketers and they use websites as a platform to promote products and services. Often these affiliate marketers have the business savvy but lack the knowledge or writing skills to produce quality content regularly for their websites. This is where they have to rely on freelance writers to write articles, blog posts and ebooks. Many website owners have regular freelance writers, usually paying them on a piece-meal basis at first and often putting them on retainer as regular content writers later. This is why building a cordial relationship with your client is important. A Love For Writing : This is more of a passion than a skill and nothing tests your passion for the written word more than having to produce it full time. If you find yourself loathing your time at your laptop and not eagerly anticipating the next gig, then writing may not be your forte. That’s not to say that every freelance writer in the world is a passionate connoisseur of the written word. However, having a passion for writing or at least a fundamental liking for it definitely helps in your overall approach to your assignments and quality of your finished work. Good Writing Skills : While your writing skills need to be good enough to make you more competitive, good writing skills is a relative term, because it depends on your client’s needs. Don’t shy away from applying for a project or job that that involves topics out of your comfort zone. You never know – that topic open a niche for you. Your writing skills will get better with time and experience. There will always be room for improvement, so if you get rejected a few times (or many times) at the beginning, don’t get discouraged. Just look forward to the next job offer and in the meantime, polish your skills. Good Editing and Proofreading Skills : Being a freelance writer isn’t just about writing about a topic. It’s also about writing clear, error free and easy to understand content. The ability to edit your own content, as you go over your work with a critical view will stand you in good stead. Knowledge of grammar, syntax, usage and tone will make your job easier and speed up your project completion as your client will not have to get back to you to rework your article or report. Editing and proofreading are part of the skills set that you will naturally develop over time as you keep on writing. Time Management : Being able to keep to your client’s time frame is definitely a valuable skill. Not really a problem if you’re writing one article but as a freelance writer, you sometime have to take on two or more projects with time frames that overlap. This is when time management skills help you. If you’re the kind who doesn’t like to be rushed to finish your pieces, you will find being a freelance writer quite a stressful experience. Clients often have rigid timelines for their projects, so if you’re able to help with a quick turnaround, you increase your chances of repeat jobs from them. Remember that part of being a successful freelance writer is the relationship you build with your clients – largely due to your reputation for being a speedy, efficient and professional writer. Professionalism : Professionalism as a freelance writer goes beyond just turning in a well written article in the required time-frame or being honest and straightforward in your dealings with your client. In a world where cut and paste is as easy as counting one, two, three, integrity will be a cornerstone of your career as a freelance writer. Just as word of mouth makes you successful, it can also bring you down. Just because you are writing one-off reports and articles doesn’t mean you can fake things. Make sure of your facts. Don’t make up facts and statistics. Be prepared to back up your stated facts and figures – better still, cite the sources you are basing your writing on. People Skills : You’ll be dealing with all sorts of characters with all sorts of idiosyncrasies. Whether you’re writing for local clients you meet personally or online clients you contact via email, you will need to be able to communicate effectively, market yourself and build interpersonal relationships. These relationships are important for long term work assignments as well as referral from your existing clients to new ones. From emails, to texts to phone calls, being able to relate to your clients puts them at ease and makes your working relationship smoother. Also, if you’re a personable person, you have a higher chance of your existing clients referring you to their network. The Basics : If you find yourself leaning towards a particular topic or industry, prepare yourself by doing research on that area of interest. Pick up a book or two, Google that topic and surf the forums and blogs related to that topic. The internet makes it super easy to become knowledgeable on practically any topic quickly. This will help you as you look for writing jobs in that area of specialty. However, if you have qualifications or experience in a particular field, you could focus on that as a start. Equipment : The most cost effective way to work is obviously at home. If you can set up a small home office, that helps keep to get you in “work” mode, but if space isn’t available, the beauty of being a freelance writer is that your core equipment basically consists of a laptop with a word processing software, cellphone and an internet connection. Volunteer your writing skills to charities and non –profit organizations. Often with limited budgets, they usually rely on volunteers to do much of their promotional work. Get in touch with local non-profits and offer your help the next time they need writing work to be done. Contact small businesses and mom-and-pop stores. Every business needs promotional material – newsletters, emails, blog posts, press releases and such, but few have the budget for quality write-ups. Offer them your services for a nominal fee. While you’re there, offer to proofread their menus, flyers, website or handouts. This will add to your portfolio. If you’re still a student, get in touch with student clubs and organizations and offer to help them with any writing work they may have – flyers, posters, website updates – all of these make nice additions to your portfolio. If you’ve written any articles for your own student assignments that might be worth adding to your portfolio, rework them to make them more current. Write reviews on products, events or movies and offer them to newspapers, magazines or website. These are places that are always hungry for fresh new content. More so if it’s free. A blog or website is a great avenue to showcase your writing skills. If you own a blog or website, make sure you promote your freelance writing services and provide you contact details. If you don’t own a blog or website, it’s never too late to start one. It’s not that difficult to create a starter portfolio. Once you have one, make sure you point include it in your resume or details when contacting potential clients. Determine Your Rates : Freelance writing rates vary from niche to niche and from format to format. Decide how you want to price yourself. Google and find out the going rates for the types of writing jobs you are going for, the rates for long form articles, short write-ups, reviews, blog posts and ebooks – you never know what type of job you will be offered. There are two schools of thought on fixing your fees as you start out. One view is to charge the market rate from the onset. The other is to consider pricing yourself on the lower end of the fee scale. Don’t go too low though, because too low could be misconstrued as desperation (and low quality). The good thing is if one rate doesn’t seem to work, you can just change. Raise your rates at reasonable intervals. Your rates should grow in tandem with your experience and reputation. Social media – if your network is extensive, put the word out and ask your friends to spread the word. Recommendations via friends are often effective because of the trust factor. Websites like Craigslist, Idealist, Freelancer and UpWork are filled with thousands of freelance job postings. Classifieds listings – printed or online. Often, clients may opt for the conventional way of advertising freelance writing jobs in the classifieds section of newspapers. Local businesses – drop in and introduce yourself. Make sure you leave your name card with them. Even if they don’t have any writing jobs themselves, they may know of someone else who does. Leads sometimes materialize days, weeks or months after that initial meeting or business card. Network – go out and meet people. Make sure you carry your business cards with you everywhere. Offer yourself as a volunteer at charities or non-profit organizations. Don’t do it because you want to hard sell yourself, but because you believe in the cause. Many leads are the result of word of mouth – someone who knows someone who knows someone. Don’t let your inexperience and competition overwhelm you. Look for job leads diligently and pretty soon, you’ll score your first few jobs. If you get turned down for a job, learn from the experience and improve yourself. Remember, the start is the most difficult. Once you have a few jobs under your belt, things get easier. Finding new jobs and clients is part and parcel of the freelance writing business. Remember that jobs and clients will come and go, but your writing skills will always be in demand. More so as you build on your experience, writing skills and reputation. Find a niche and be a specialist : Everybody has a skills set that makes them unique. Coupled with your experience and qualification, you are an expert, or at the very least more knowledgeable than most in at least a few areas. Find your strengths and build on them. Look out for which articles evoke the most response from readers via their comments and feedback to you. These are areas where you can excel. It’s difficult at first because you need to be a Jack of all trades, but when you DO find your niche, and you WILL, focus on it. Affiliate marketers, website owners and bloggers know this truth – you spread yourself too thin and get nowhere if you try and cover everything. Find a niche, get good at it, then try to dominate it. That makes you a specialist in that field and drives reputation points your way, not to mention freelance writing job leads. And if you’re one of those blessed with abundant talents and skills and you find yourself master of multiple niches, great! Nothing drives you to improve more than knowing that you’re your own boss. That if you don’t work hard, you don’t get paid and the bills don’t get paid. However, there are pluses that come with the hard work. Being a freelance writer offers you the flexibility of working at home at your own pace. One of the challenges of working for yourself is finding the motivation, encouragement and support when you’re face with unfamiliar situations. It’s always helpful to have a mentor or seasoned writers who don’t mind you picking their brains every now and then. You might not be able to make a full-time income as a freelance writer in the first year or two and you might have to supplement your income in other ways, but don’t give up – keep plugging on. Success is a combination of hard work, talent and some luck. In time, you will surely be able to call yourself “Freelance Writer” and a successful on at that. And hopefully, you will have more than enough on your plate to allow you to pick and choose your assignments. Freedom is after all the goal of the word “Freelance”. Jason Brick gives some really useful information about being a successful Freelance Writer. Rebecca Sato gives really helpful tips in a full range of videos about freelancing and working at home. Maggie Linders’ video about finding your niche and specializing in it as a freelance writer. 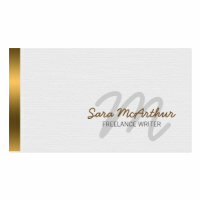 She has a range of videos with great information for freelance writers. Upwork.com : UpWork is a relauched website that saw the merging of eLance.com and oDesk.com. At the time of writing, Upwork states that it had 4 million clients who have collectively posted 3 million jobs. Upwork accomodates all types of project duration and engagements with requirements ranging from entry-level to expert-level. Freelancer.com : Freelancer.com is the world’s largest freelancing, outsourcing and crowdsourcing marketplace by number of users and projects. We connect over 16 million (as at October 2015) employers and freelancers globally. A huge and varied number of freelance jobs available. Craigslist : This is a really huge classifieds site with all sorts of services offered and required, freelance writing being one of them. You can easily browser the listings for your local city, but since freelance writing isn’t necessarily a location based job, you can source for leads in any city around the world via Craigslist. Guru.com : Another treasure chest of freelance writing opportunities, with a quick glance at their marketplace showing more than 600,000 writing jobs in a wide variety of genres. FreelanceWritingGigs : A website catering specifically to freelance writers, with loads of resources for writers. iFreelance : The best thing about iFreelance is that you get to keep 100 % of whatever you make on the jobs you get via their website. iFreelance is a clean, well designed site with easy navigation, where you can browse through writing jobs in dozens of sub-categories. SimplyHired : This is a job listing website with thousands of job openings. While not specific to writing jobs, like any other website, there are pretty decent opportunities listed often.